There is something about the Mexican experience that is not complete without understanding how its society moves. To cross 800 miles, as an American, I would immediately think to buy an airline ticket and go directly from “Point A” to Point B”. In sharp contrast, the Mexican society moves at its own pace without the constant need to be “better, faster and cheaper” that I find in the States. The airline infrastructure is just not there in many cases and where it is, the cost is prohibitive to all but the most wealthy. That development didn’t come because of a lack of people wanting to move, it is rooted in the culture that accepts life’s bumps and curves all while working on a time table dictated by the elements and tailored by bureaucracy. In short, why would you need an airplane when a bus will do just fine? We had to give it a try! 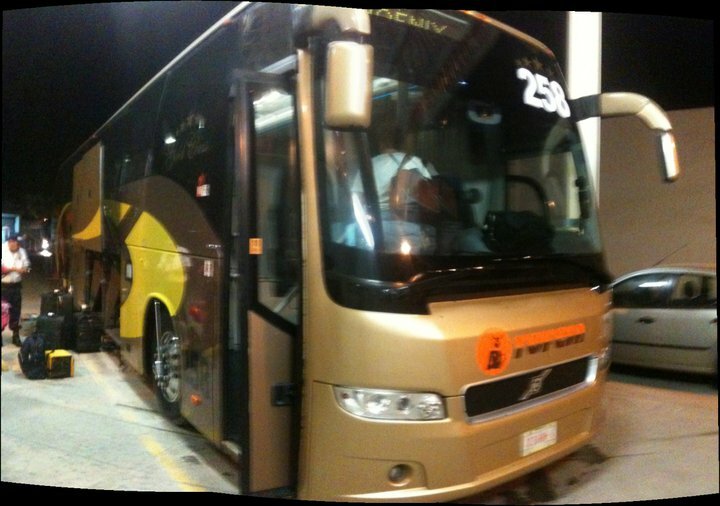 To get back “home”, we chose to ride the overnight, First Class Tufesa bus from Mazatlan that crosses the border and arrives in Tucson. 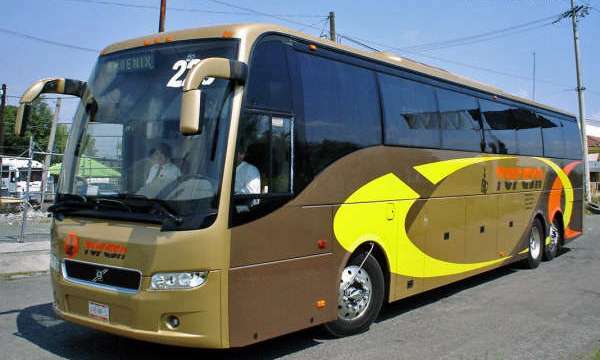 The one “American” consolation we allowed ourselves was to take the Executivo bus, as “super premium” first class that only has 24 seats, as opposed to the normal 32. On paper, it seems like a simple task, leave at 7:00 PM (or 19:00 in Mexico) and arrive the next morning in Tucson at 11:00. Given the modern border climate, and the fact that it was the day before Thanksgiving, it didn’t necessarily work out that way. We asked around to see if anyone we knew in Mazatlan had any recent “gringo” bus riding experiences and found a few. Most however, were interested to see how the experience played out for the two of us – using us as guinea pigs for their future travel plans. The people of Mexico are some of the most gracious, hospitable people you will meet anywhere in the world. They are always ready to help a person in need, even if we don’t return the favor when they visit our country. The Mazatlan station was no exception. Located a bit north of town, the Mazatlan TUFESA station is a well-lit, clean office with a small food vendor. As it sits on one of the main streets into Mazatlan, there is never a problem catching a cab either to or from any part of the city you want to go. The people working there, however, were what started this excellent trip on the right foot. The security officer noticed that we were unsure as to what bus we were supposed to be on, smiling from ear to ear and in broken English said, “Don’t worry señor, I will not let you miss your bus!” He and Pepe, the one-armed attendant made sure that our bags were taken care of and we knew when and where our bus was. This was just the first example of how the Mexicans along our journey were charming, gracious, understanding and just plain welcoming. As we left, the smiling, cute young girl in the booth gave us our “travel package”: 2x Cokes, 2x Bottled Water and 2x Cheese Sandwiches. All-in-all, it was one of the most pleasant travel experiences I have ever encountered. Almost no airlines make you feel this welcome. A completely clean, modern Volvo bus, with full-sized, reclining seats pulled out promptly at 7:00 to begin the run to Phoenix. Our driver, an extremely distinguished man in his mid-50’s, was cautious – perhaps even overly cautious – about the way he drove. He slowed to a crawl over each speed bump (even the smallest) and let off the accelerator around turns. Even the most motion sickness prone person would be perfectly at home on these buses. As for “inflight entertainment”, TUFESA was playing the latest Harry Potter movie, dubbed in Spanish. As soon as it was over, the driver turned off the system and the bus settled down into an overnight rhythm for the late-night run. I am glad that Diane had thought to place two of her cashmere wraps in our bags, as it did get a little chilly sleeping in the big, comfortable seats. I noticed that many women were traveling alone. This is a sure sign to me that this is the safest way to move about a place. 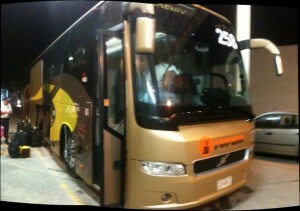 As the bus made its way north, we did cross through four checkpoints in Mexico. Our first was the AFI checkpoint, where three agents boarded and looked over the passengers. I made sure to make eye contact with each of the agents, as I am sure that is one of the “tells” they are looking for. All-in-all, the agents were serious but not threatening in any way. After about 3 minutes, they thanked us for our time and attention and left the bus. The next station was the agriculture station. This was the most pleasant of all of the checkpoints. The young man who looked over the bus, poking at some of the overhead luggage, was sincerely apologetic that he had taken our time and again thanked us for our patience and attention. This kid, and in his mid-20’s he was just that, was doing a professional job on a cold evening in the middle of nowhere Sinaloa. I was impressed. The third was the most “intimidating” of all of the checkpoints. The “power drill brigade” boarded the bus near the Sinaloa/Sonora border and proceeded to poke and prod almost everything in sight. Armed with an impressive battery of DeWalt Power drills, they evidently like to open panels and snoop around luggage bins. I never felt threatened, and I noticed that our driver kept a keen eye on the searchers as they went through the baggage hold. Though I never felt in danger, they workers did give off an “aura” of “not right”. These were certainly not the professionals we had encountered earlier.